MUNICH, JANUARY 11, 2017—Brainlab and Elekta announced today the installation of the 50th fully integrated system at Southampton General Hospital, which consists of Elekta’s Versa HD™ linear accelerator and ExacTrac® X-Ray, patient positioning and monitoring technology by Brainlab. Leading clinical institutions worldwide are increasingly selecting this combined solution for the precise delivery of stereotactic radiosurgery (SRS) and stereotactic body radiation therapy (SBRT). “Integrating the treatment delivery potential of all our Versa HD systems with the imaging capabilities of ExacTrac provides our service with the advanced technology to deliver a safe and effective SRS program to our patients,” stated Claire Birch, Head of Radiotherapy Physics at Southampton General Hospital. 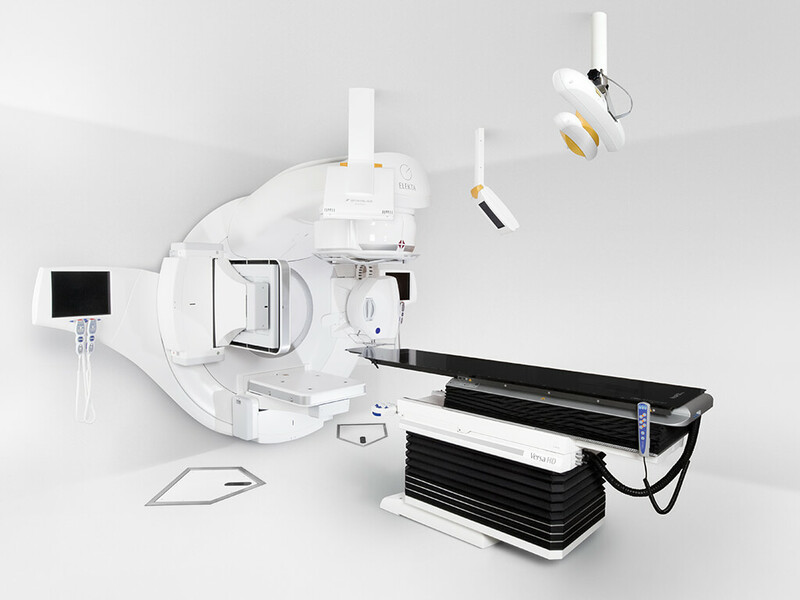 Versa HD is a versatile, multifunctional, high-definition dynamic stereotactic and conventional radiotherapy (RT) solution that removes traditional treatment constraints, offering the capability to deliver SRS and SBRT in routine, standard treatment slots, with end-to-end precision and accuracy. ExacTrac adds the flexibility to image the patient at any couch or gantry angle either prior to or during treatment delivery, helping to ensure no planning compromises need to be made due to in-room verification limitations. ExacTrac allows fast and reliable independent room-based imaging, creating a highly advanced frameless system that helps to assure the patient is adequately immobilised. “Elekta has a leading reputation in advancing stereotactic radiosurgery as well as providing customers freedom to fully accommodate workflows through an open-systems philosophy. By enabling the interoperability of two leading stereotactic radiosurgery solutions, Versa HD and the Brainlab ExacTrac system, we bring together greater value to our customers with additional capabilities to provide a more seamless workflow experience,” said Maurits Wolleswinkel, Chief Marketing and Strategy Officer at Elekta. Privately held since its formation in Munich, Germany in 1989, Brainlab has more than 11,700 systems installed in over 100 countries. Brainlab employs 1,360 people in 18 offices worldwide, including 430 Research & Development engineers, who form a crucial part of the product development team.